Contact Porsche El Paso today for information on dozens of vehicles like this 2018 Porsche Macan . This Porsche includes: CARRARA WHITE METALLIC PREMIUM PACKAGE 14-WAY POWER SEATS WHEELS: 18 MACAN TRAILER COUPLING PANORAMIC ROOF SYSTEM PORSCHE CONNECT Smart Device Integration FRONT SEAT VENTILATION *Note - For third party subscriptions or services, please contact the dealer for more information. * Want more room? Want more style? This Porsche Macan is the vehicle for you. Pull up in the vehicle and the valet will want to parked on the front row. This Porsche Macan is the vehicle others dream to own. Don't miss your chance to make it your new ride. This Porsche Macan is equipped with AWD for improved handling. Whether you're faced with inclement weather or just out enjoying the twisting back road, you'll have the grip of AWD on your side. This 2018 Porsche Macan is offered to you for sale by Porsche El Paso. Want more room? Want more style? This Porsche Macan is the vehicle for you. You deserve a vehicle designed for higher expectations. This Porsche Macan delivers with a luxurious, well-appointed interior and world-class engineering. This vehicle has an added performance bonus: AWD. It improves handling on those winding back roads, and gives you added safety and control when driving through wet and snow weather conditions. The look is unmistakably Porsche, the smooth contours and cutting-edge technology of this Porsche Macan will definitely turn heads. This outstanding example of a 2018 Porsche Macan is offered by Porsche El Paso. This SUV gives you versatility, style and comfort all in one vehicle. You appreciate the finer things in life, the vehicle you drive should not be the exception. Style, performance, sophistication is in a class of its own with this stunning Porsche Macan. Simply put, this all wheel drive vehicle is engineered with higher standards. Enjoy improved steering, superior acceleration, and increased stability and safety while driving this AWD PorscheMacan . The Porsche Macan will provide you with everything you have always wanted in a car -- Quality, Reliability, and Character. 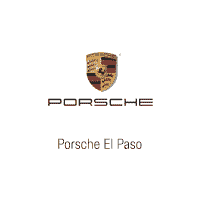 This 2019 Porsche Cayenne is offered to you for sale by Porsche El Paso. This Porsche includes: PORSCHE ACTIVE SUSPENSION MANAGEMENT (PASM) Active Suspension SMARTPHONE COMPARTMENT SOFT CLOSE DOORS BISCAY BLUE METALLIC PREMIUM PACKAGE Keyless Start Mirror Memory Panoramic Roof Seat Memory Hands-Free Liftgate Auto-Dimming Rearview Mirror Daytime Running Lights Power Passenger Seat Generic Sun/Moonroof Power Driver Seat Heated Front Seat(s) Power Door Locks Keyless Entry Passenger Adjustable Lumbar Sun/Moonroof Blind Spot Monitor Premium Sound System Driver Adjustable Lumbar Remote Trunk Release Dual Moonroof Bucket Seats Power Steering TOWING PACKAGE Tow Hitch WHEELS: 20 CAYENNE DESIGN Tires - Front Performance Aluminum Wheels Tires - Rear Performance WHEEL CENTER CAPS W/COLORED PORSCHE CREST *Note - For third party subscriptions or services, please contact the dealer for more information. * Want more room? Want more style? This Porsche Cayenne is the vehicle for you. You appreciate the finer things in life, the vehicle you drive should not be the exception. Style, performance, sophistication is in a class of its own with this stunning Porsche Cayenne. Enjoy safety and stability with this all-wheel drive vehicle and drive with confidence in any condition. This 2019 Porsche Cayenne Turbo is proudly offered by Porsche El Paso This Porsche includes: HEAD-UP DISPLAY Heads-Up Display TOWING PACKAGE Tow Hitch INTERIOR PACKAGE IN BRUSHED ALUMINUM SMARTPHONE COMPARTMENT SPORT CHRONO PACKAGE WHEELS: 21 SPYDER DESIGN WHEELS Aluminum Wheels ROOF RAILS IN SATIN ALUMINUM FRONT SEAT VENTILATION Cooled Front Seat(s) Heated Front Seat(s) *Note - For third party subscriptions or services, please contact the dealer for more information. * This SUV gives you versatility, style and comfort all in one vehicle. Pull up in the vehicle and the valet will want to parked on the front row. This Porsche Cayenne is the vehicle others dream to own. Don't miss your chance to make it your new ride. Navigate through all the icky weather with ease in this AWD-equipped Porsche Cayenne, and even get non-stop traction for your non-stop lifestyle! In addition to the amazing traction control, you may even qualify for an insurance reduction with this AWD vehicle.